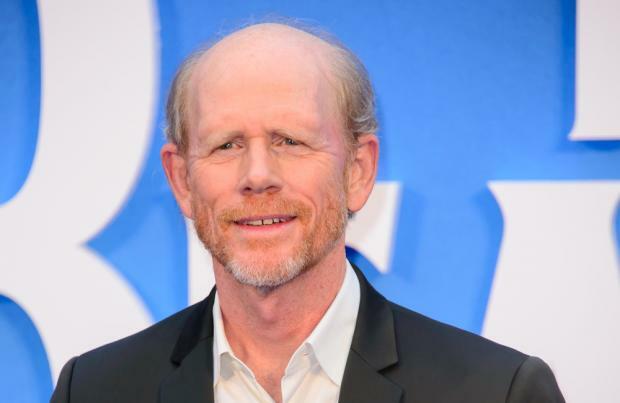 Ron Howard reportedly reshot the majority of 'Solo: A Star Wars Story'. The 64-year-old director replaced Phil Lord and Christopher Miller part-way through the production process, and despite having a tight deadline to work towards, Ron had no hesitation is reshooting much of the sci-fi movie. A source told the Wall Street Journal newspaper: "Ron wanted to go back to the spirit of the original trilogy, while Phil and Chris were looking forward to something new, more like 'Guardians of the Galaxy'." The original directing duo were kicked off the project by Lucasfilm president Kathleen Kennedy and 'Solo' co-writer Lawrence Kasdan, neither of whom were keen on their comedic style, thinking it was out of place in the 'Star Wars' franchise. And although Ron had very little time in which to work, he has only retained around 30 percent of the original content. Meanwhile, Ron recently claimed that 'Solo: A Star Wars Story' will be "different" to any other movie linked to the franchise. The actor-turned-director has helmed the spin-off of the popular sci-fi franchise - which follows the life of Han Solo before he meets up with main character Luke Skywalker in the 'Star Wars' movies - and he recently teased some details about what fans can expect. He said: "The 'Star Wars' universe that we see in 'Solo' was different from anything else we've seen in any previous 'Star Wars' movies. The Empire controls everything. Everyone is struggling to survive, but we discover this incredible free spirit."